San Pedro, Los Angeles. Young and smart, Alex Anderson is in full swing to be elected again in the Congress of the United States of America. In the last days, however, something begins to upset him. It is a unresolved part of his past, that Alex has brought with him every single day of his life. Its name is Maggie Jones. Certainly, for him she was still "little Maggie", his best friend that one day could have become the love of a lifetime, but about whom he had no news since 1986. One morning, during a meeting in his office in Washington, Alex gets a phone call. It's her. Out of the blue, his life is literally swallowed up by someone who begins to hunt him; it's Chuck Dillinger, former CIA agent who hit the headlines for having released dozens of top secret documents and serious details about NSA activity, starting in this way the scandal that the press renamed as Datagate. Social networks, mobile phones, credit cards: according to Dillinger, we are all intercepted. Why Alex Anderson? As Arianna Huffington explains in her article, Alex is part of the secret society most known in America and, perhaps, all over the world: Skull and Bones. A family tradition, since his father Ron and his grandfather Philip are its founders, just like Bushes. This would make him the predestined, chosen by his leader group as the next Republican candidate for the White House. Thus, in the crazy plan of Dillinger, Anderson becomes the connecting link with the system to subvert and overthrow. Along with Matt Payne, his friend a little bit crazy, and with Veronica Hayes, journalist for Los Angeles Times, met a few hours before aboard a plane, Alex begins a full-fledged race against time that will see him fighting, besides for his life, also and especially to foil an attack against the heart of democracy. After the murder of the FBI Inspector Carl Nowitzki, who in a few hours was supposed to meet Alex to give important news on the case, the command of the operation goes to Frank Da Silva, Head of the counter-terrorism division of the National Security Branch. The mysterious rites of Skull and Bones inside the Tomb and at Deer Island, chases, betrayals, gunfights and the spark of love that, like a bolt from the blue, inflames Alex and Veronica's hearts. 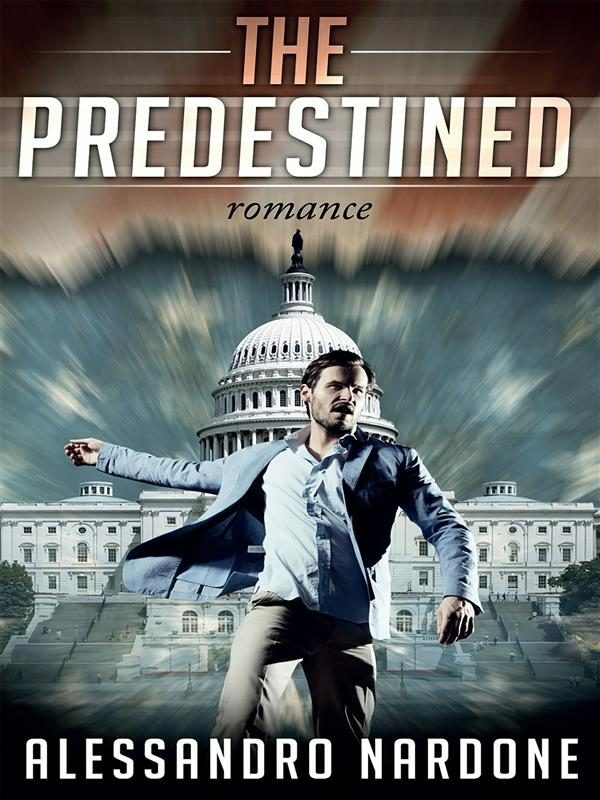 The Predestined is a path of three hundred pages, dotted with a succession of twists and on the background of a real showdown among some segments of the intricate world of intelligence and of international espionage. A compelling story beyond all expectations, that will surprise you, will take you by the hand and drag you away until you discover the terrible secret behind the mysterious Maggie Jones. Our journey with Alex, Veronica and Matt is about to begin. And you, are you ready to save the World?. Otros ebooks de Alessandro Nardone.